You’re searching for the perfect bedding to top off a fabulous nursery so here it is folks, in new designs due any moment at The Hip Infant! 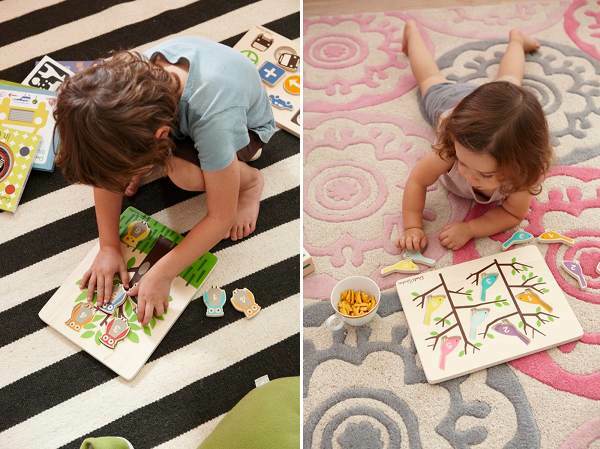 Ella and Otto (featured here in September 2009) offer fresh, contemporary designs and now here are two more for exclusive online pre-order from tomorrow (27 August). Beep is a fabulous new design which my nearly three-year-old son would love with its retro-quirky road vehicles. 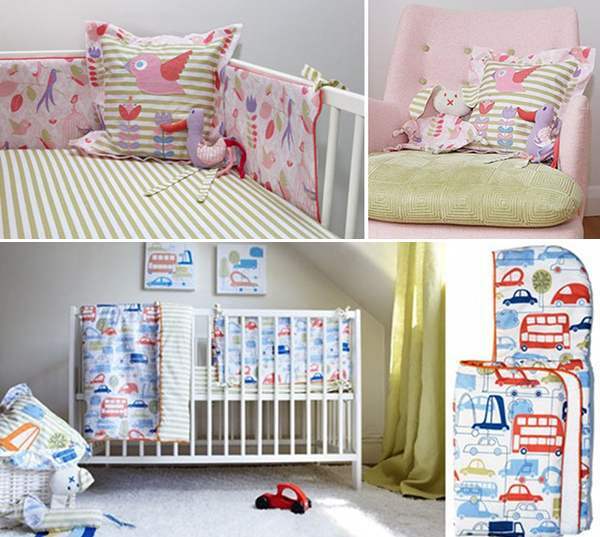 The transport obsession lasts a long time so you’ll get great value out of this bedding – we particularly love the double-decker bus. Tweet is the other new offering from Ella and Otto. Pink and sweet with birdies, flowers and leaves, it will spruce the nursery up in a split second. Stock is set to arrive 3 September so get in quick with your pre-orders at The Hip Infant before the first shipment sells out. The Bumper and Fitted Sheet set will be $109.95, Padded Quilt/Playmat $84.95, Bib Set $19.95, Comforter Toy $27.95, Hooded Towel $49.95 and the Applique Cushion will be $34.95 (remember to sleep your baby according to the SIDS guidelines). Also new in soon are four styles of the Dwell Studio puzzles featured in our recent New York International Gift Fair editorial, plus three gorgeous stamp sets – zoo, farm and city. 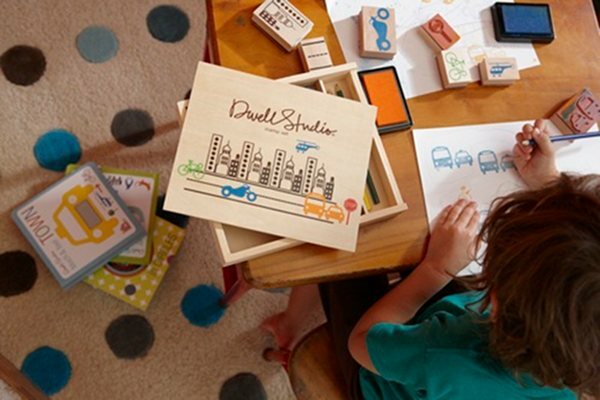 These amazing stamp sets pack neatly away into their boxes and will provide endless hours of creative fun for the kids. I think they look perfect for decorating home-made cards! Puzzles will be $21 each and stamp sets $35 each when they hit The Hip Infant in early October.